In this comparative study of the contemporary politics of deportation in Germany and the United States, Antje Ellermann analyzes the capacity of the liberal democratic state to control individuals within its borders. The book grapples with the question of why, in the 1990s, Germany responded to vociferous public demands for stricter immigration control by passing and implementing far-reaching policy reforms, while the United States failed to effectively respond to a comparable public mandate. Drawing on extensive field interviews, Ellermann finds that these crossnational differences reflect institutionally determined variations in socially coercive state capacity. By tracing the politics of deportation across the evolution of the policy cycle, beginning with anti-immigrant populist backlash and ending in the expulsion of migrants by deportation bureaucrats, Ellermann is also able to show that the conditions underlying state capacity systematically vary across policy stages. Whereas the ability to make socially coercive law is contingent on strong institutional linkages between the public and legislators, the capacity for implementation depends on the political insulation of bureaucrats. 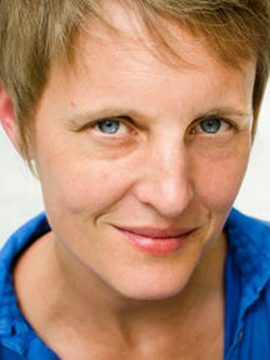 Antje Ellermann is Assistant Professor of Political Science at the University of British Columbia. Her work has been published in Comparative Political Studies, West European Politics, and Government and Opposition. She has been the recipient of research grants from the Social Science Research Council in the United States and, in Canada, from the Social Sciences and Humanities Research Council and the Department of Foreign Affairs and International Trade.